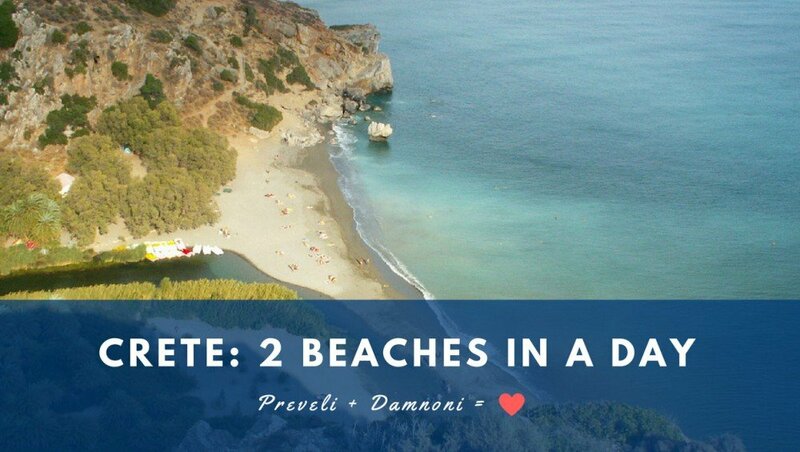 Crete’s Preveli Beach and Damoni Beach are within perfect distance of each other to visit in a day. Crete is a large island and careful planning is guaranteed to save you plenty of time. 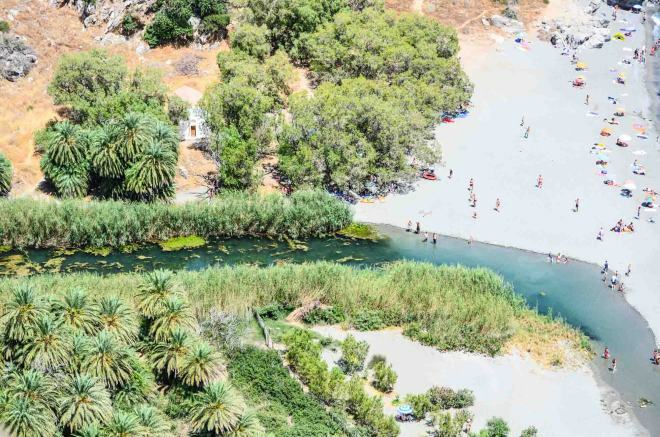 Spending the day exploring Preveli and Damnoni beaches is perfect for the first-time visitor heading towards South Rethymnon. We recommend that you start your day as early as possible and to escape the summer heat first make your way towards Preveli Beach. 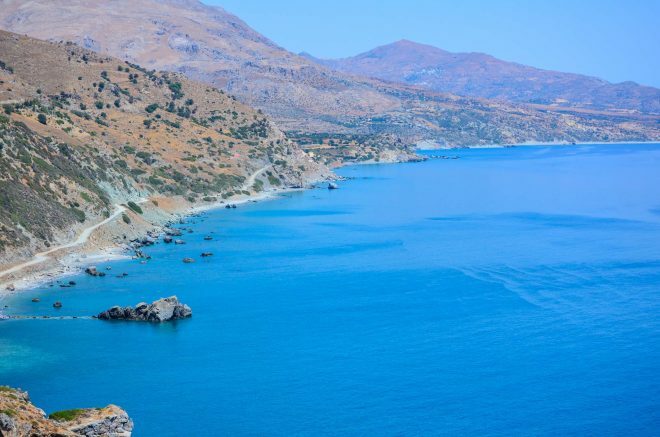 One of the most famous beaches in Crete, Preveli Beach was named after one of the largest and the most important monasteries on the island called Preveli. The wonderful beach is famed for its breathtaking river lagoon which flows into the Lybian Sea through a dreamy palm forest. This oasis one of our top recommended spots for exploration and relaxation. 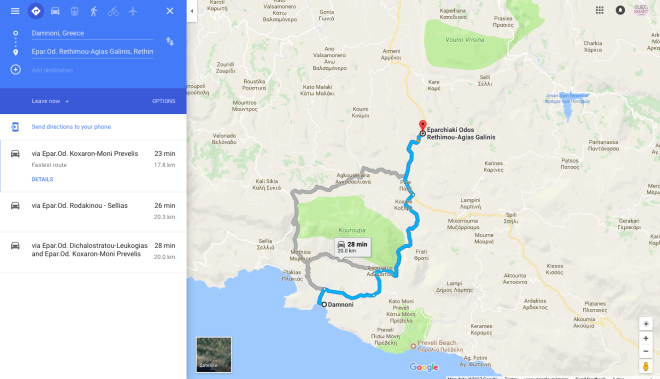 There are two routes which lead to Preveli Beach, one is following the directions from the Preveli Monastery and the second one from Drimiskiano Ammoudi. 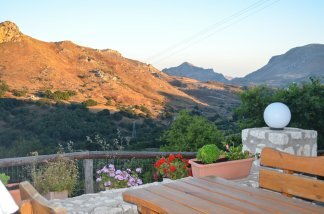 For the postcard-perfect view, we recommend that you take the route from the Preveli Monastery and park your car in the designated parking area after which you will take the footpath that leads down towards the beach. Make sure to wear comfortable shoes as you will be expected to walk approximately 20-minutes or so. The hike up-hill will be more challenging especially during mid-day so pack plenty of water and don’t forget to wear sunscreen. The less scenic route is only about a five-minute walk and leads down a dirt road from Drimiskiano Ammoudi. The beach is semi-organized because facilities here are minimal. There is one canteen on the beach selling refreshments and snacks. Make yourself comfortable in the natural surroundings while you find shade under the trees. Exploring the palm-forest is a must. 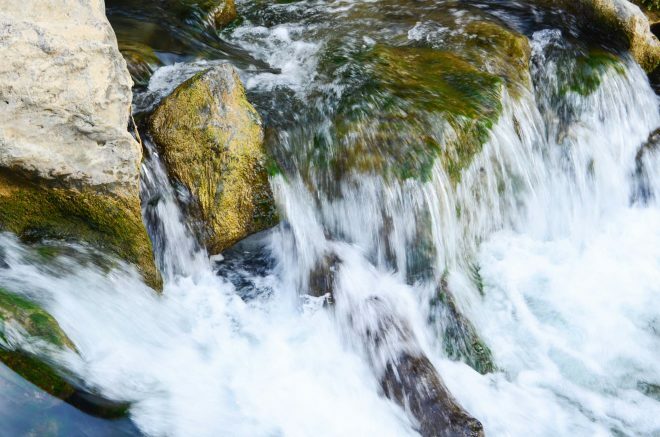 It will take you 40 minutes to reach the waterfalls at Kourtaliotiko Gorge and to return back to the beach. Outdoor enthusiasts can rent paddle boats to go up and down the river. 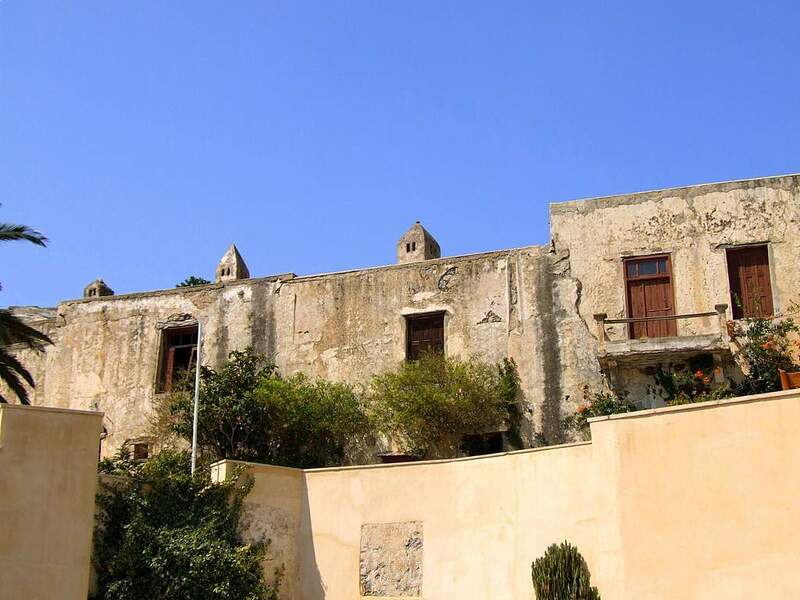 After spending a couple of hours on Preveli Beach make sure to stop by the Preveli Monastery which played a key role in a Turkish revolt that too place in 1821. From here, you can enjoy wonderful vistas over the Lybian Sea. Next stop on the itinerary is Damnoni Beach which is approximately 10 kilometres away (16 minutes driving). 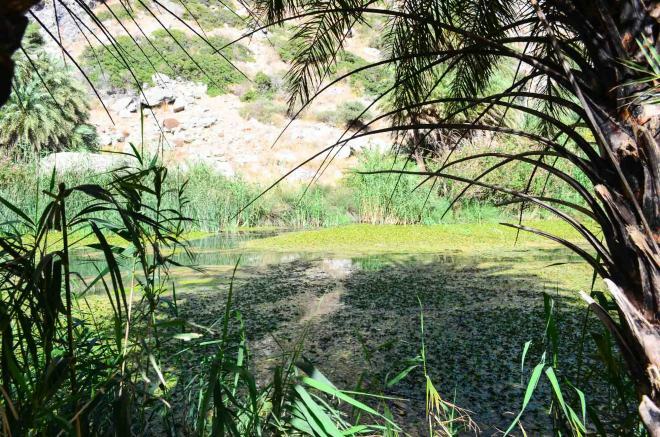 This natural reserve is protected by high mountains and is the perfect hideaway especially on windy days. 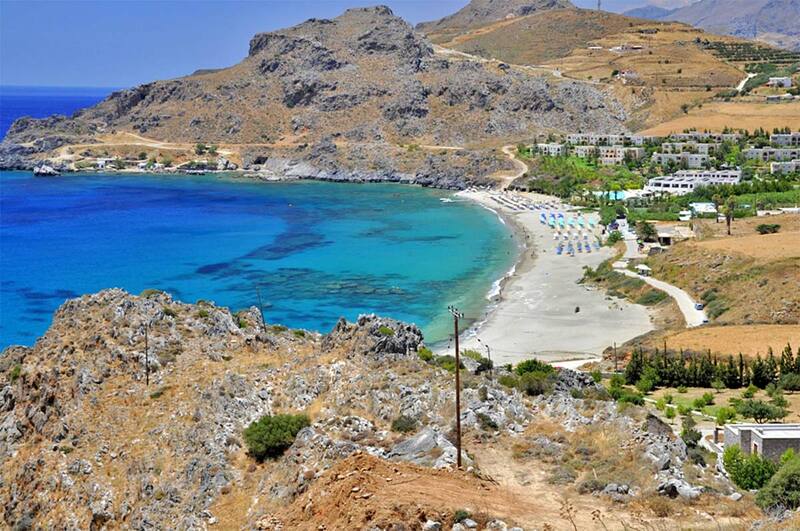 With its white sand, calm and clear waters Damnoni Beach tops the list of the most popular beaches of south Rethymnon. When you are not basking in the sunshine, enjoy a coffee or light lunch in one of the local taverns and cafes which line the shore of Damnoni Beach. The beach has all the facilities that one needs: showers, changing rooms, sunbeds and umbrellas. You can also enjoy water sports here or go for a scuba dive. 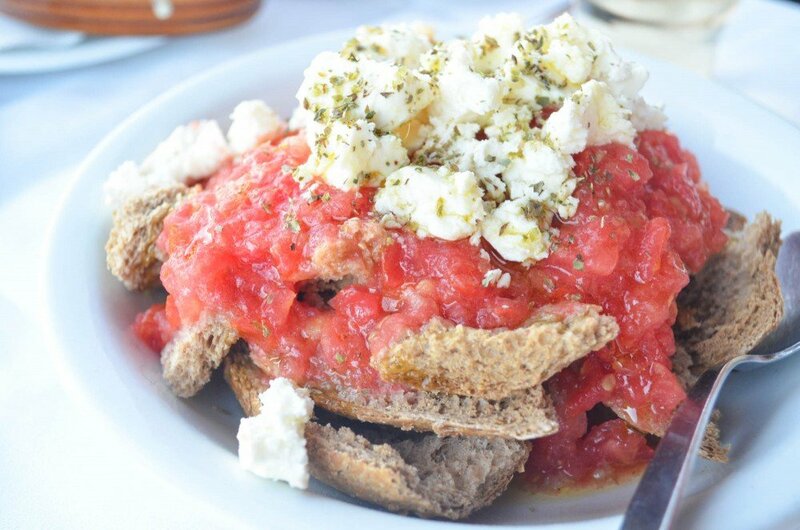 After completing your 2 beaches in a day itinerary how about rewarding yourself with a traditional Cretan dinner as you watch the spectacular sunset? We’ve just the place for you. 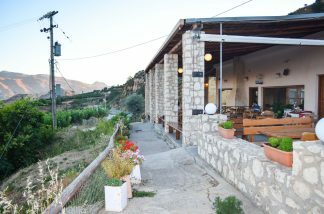 Pyrgos is a wonderful family run taverna situated on the crest of a hill with picturesque views of the mountains. 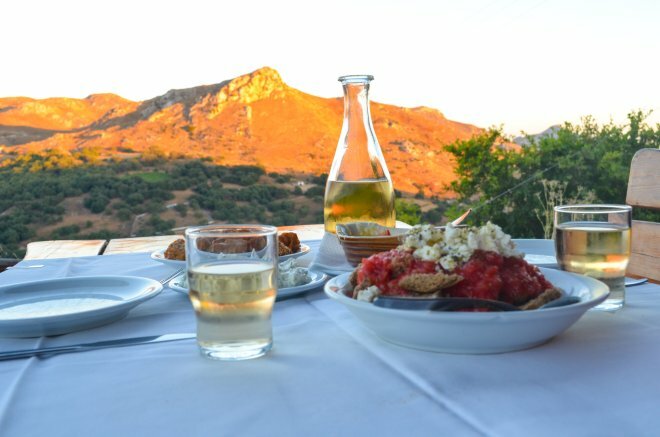 It is a wonderful place to watch the sunset over the Cretan landscape while enjoying a hearty, freshly cooked traditional meal. Everything on the menu is delicious and prices are moderate. 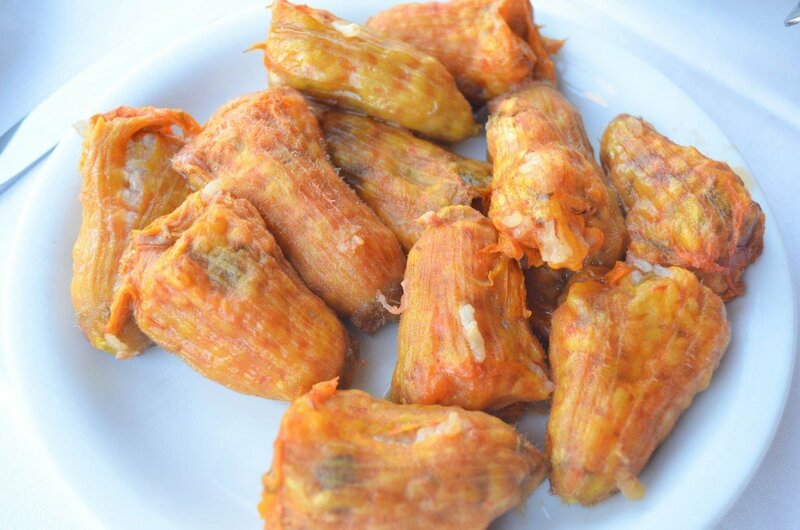 Try the Cretan specialty rabbit stew kouneli stifado, stuffed zucchini flowers kolokythoanthoi and the traditional Cretan dakos of course! No meal is complete without the local liquor called raki or rakomelo. Experiencing 2 beaches in a day is a great way to see more of what Crete is famous for. 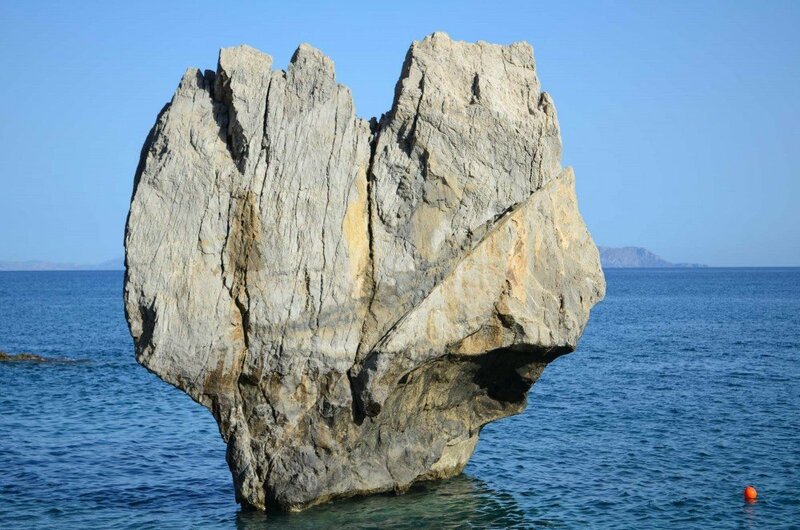 Have you been to Preveli or Damnoni beaches before? If so, which beach did you like best?